You might have noticed that am posting condiments from various countries and few more to come as am running this month's Mega marathon. Every week have their own theme and the theme for this week is condiments from countries.After a flavourful green sauce from Argentina and an easy breezy Wafu dressing from Japan, my today's post is going to be a popular, classic and very easy salsa, yes the famous Pico de Gallo/Salsa Fresca or else Salsa Mexicana. This fresh salsa is quickly made with ripen tomatoes, this is the basic ingredient for making this salsa, and other ingredients like white onions, jalapeno peppers, coriander leaves and lime juice are added later. This tomato salsa is a prefect condiment to enjoy with a plate of tortilla chips, burritos, nachos and so on. 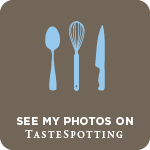 This recipe is easily adjusted to anyone's personal taste. Fresno or Serrano chilis can be used if Jalapenos are unavailable. If you can't handle 'HOT' food simply decrease the amount of jalapenos or use an Anaheim or Poblano chili instead. If you love garlic as I am, use a few more cloves of garlic. 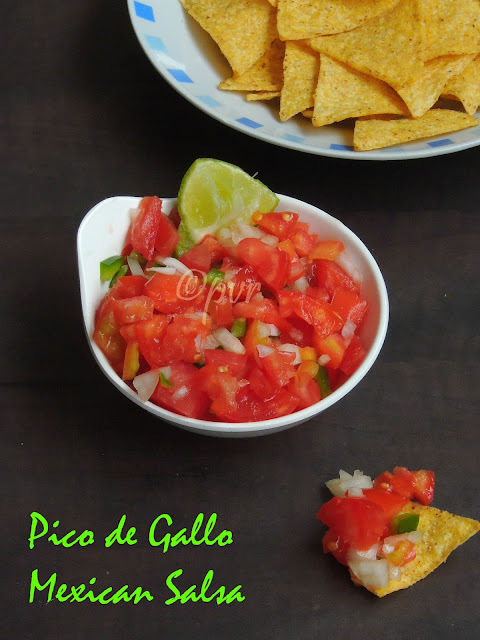 So you can make this Pico de gallo with just few ingredients.Adding fresh garlic cloves and lime juice to this salsa definitely makes some difference from usual salsa. Pico de gallo can be prepared in a jiffy as this salsa needs really very basic ingredients which is quite easily available in everyone's kitchen. Since i want to stick with a basic salsa, i didnt add loads of coriander leaves eventhough few recipes goes for them, some may add beans or fruits like pineapple to give a different taste to this salsa. Obviously you can make salsa out of both vegetable and fruits though the basic salsa always calls for tomatoes. 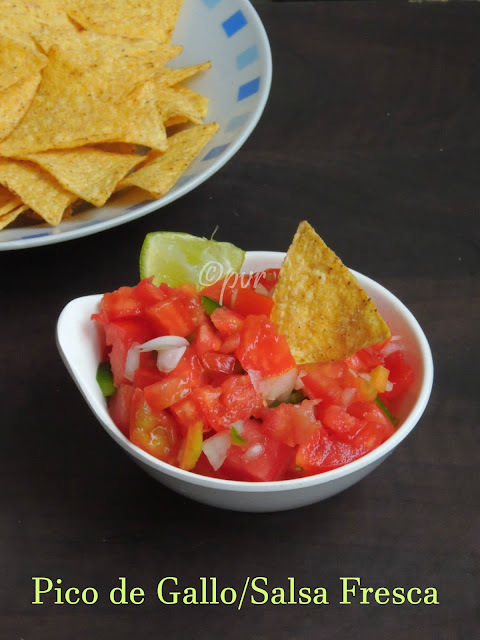 Wonder why i havent posted this basic salsa in my space, no matter whether its late or not, finally am posting this delicious popular Mexican salsa for this week's blogging marathon's theme. Take the diced tomatoes, finely chopped onion, chopped jalapeno pepper, coriander leaves, garlic cloves in a bowl. Add in the lime juice, olive oil,salt,pepper powder, give a quick toss. Arrange in fridge for 2 hours before serving with chips. Would love to dig in with some chips. Ultimate !..we all love this salsa , so quick to prepare and so delicious. 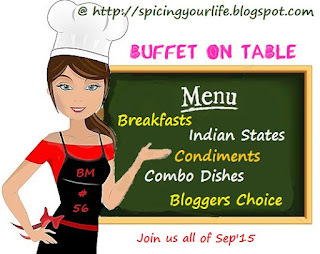 our fav dip - my elder one makes it all herself at home ! Wonderful colour to your salsa Priya..good one.. Even i made this Priya..Love it to the core..Looks delicious. 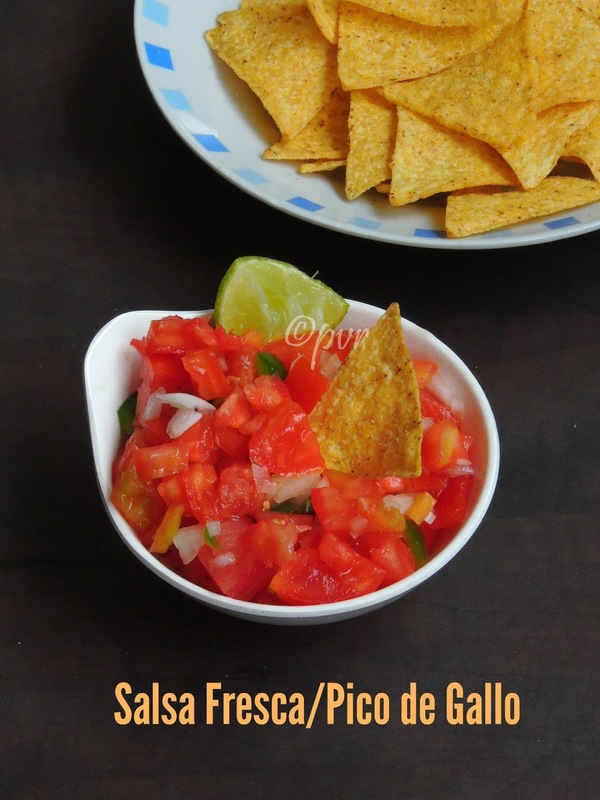 A quick and delicious salsa fresca. 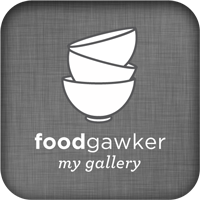 Simple and refreshing tomato salsa. Looks colorful and delicious. That is one refreshing salsa to go with the chips. My favourite. Love the refreshing colours.